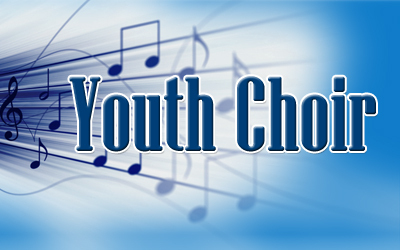 Youth Choir will begin on Sunday, September 13th at SJW at 10 AM in the gym. School age children are welcome to join as we prepare to support the Children’s Liturgy with music, prepare for a special Christmas Eve Liturgy and a special Palm Sunday reenactment of the Gospel and Easter Sunday celebration. We also make ‘guest’ appearances with the adult choir for select Sunday morning liturgies. Children attend rehearsals weekly on Sunday morning’s at 10 AM in the gym. They are released in time for 10:45 AM Liturgy, attend Children’s Liturgy at that Mass and then return to their parents after the preparation of gifts at Mass. If you’d like to join, please contact Terry Wellenzohn at 457-4630 or attend the first rehearsal in the gym on Sunday, September 13th.